Ten years ago I remember the lively debate for a tax act now known as the Bush Tax Cuts. It finally passed with the caveat that it would expire in ten years. It was better than nothing and there would be plenty of time to make it exactly right. But just in case, the whole tax act would disappear on 12/31/2010—eons away. So for ten years I’ve had a cheat sheet on my desk to see exactly how all the different laws would change and phase-in each year. And, for all of 2010, we have been waiting to see what would happen. Soon there would be some action. But here we are, 16 days to go and we’re still waiting. And, by the look of things, they’ll be two more years waiting for the fine-tuning because I guess 10 years just wasn’t enough! But, before we start throwing stones, let’s take inventory of deadlines we’ve put off. How about that painful bill you try to pretend isn’t there? When it finally comes due, you still have the problem but now with added hours of unconscious worry and stress. Or, what about taking advantage of 0% interest for one year? You managed to wait too long and failed to meet the deadline (hopefully only once) and were hit with a year’s worth of high interest charges. Or, what about that distant retirement plan? Are you still hoping that somehow those retirement funds will miraculously appear? What is it about distant, difficult and tedious deadlines that make us procrastinate? Are we optimists (it always works out) or pessimists (it’s too difficult to deal with)? Do we have our heads in the sands or our heads in too many other things? Are we too concerned with being right or wrong or liked or criticized? There are so many reasons to choose from, but it all comes down to no good excuse at all. I’ll confess. Always in that overwhelmed place; never enough time—that’s my excuse. What’s yours? I don’t want to get religious on you, but I attended my childhood church this weekend in Wisconsin while visiting my failing mother. While saying the Lord’s Prayer by rote, I was caught off-guard hearing the usual word debt (trespass to some) replaced by sin. It’s a curse, but even in church I find my mind immediately going to money and wondering what this change has to do with our beliefs and concepts about money. Have I for all these years, unconsciously been living with the belief that a debtor is a sinner? After all, if this all-time classic prayer (in my tradition) chose to mention debt, it must be something pretty horrific. And, if we look back historically, weren’t there prisons for those unfortunate enough to be unable to pay their debts? This was so much food for thought that I missed the whole sermon! So I invite you to chew on it for awhile. Pay attention next time you think you made a bad money decision or are having a hard time making ends meet. How much compassion do you have for yourself? And, then reflect on how much compassion you have for others. Do you have more or less for yourself or none at all for anyone, no matter the circumstances? Hmmm—what’s that all about—think about it. OK, I’ll admit it – I have a hangover. But it’s not what you think. I’m hung-over from too much: too much of a good thing. Do you know what I mean? Why is it when Thanksgiving comes around, we shift into overindulgence? Too much turkey, too much pie, too much company, too much fun (and too much money)! And, when I shift into overdrive, all the positive points of a holiday weekend get lost in blame, shame and guilt. Blame because I knew better – it’s my fault I’m tired. Shame because who really needs to eat (or spend) that much. And, guilt because it’s not what I wanted, once again I fell short of my unreasonable expectations (or budget). But when we focus on the “big three” it’s so easy to forget all the good and throw in the towel for the rest of the season. Overindulgence becomes the name of the game for the month of December and sometimes longer! But, today I’m shifting the box, as my friend Donna would say. I’m shifting my view from blame, shame and guilt to re-viewing the high points of the weekend. I see the family dinners, the joyful children, and the beautiful 4 hour drive Downeast, instead of just being tired. I see the sumptuous Thanksgiving feast (and our unusual pre-Thanksgiving feast of appetizers and desserts) instead of the numbers on my scale. And I affirm that the outcome was exactly what I wanted, a weekend of family, fun and food! So the overindulgence can stop today. Because I don’t need to overindulge, when I give up blame, shame and guilt. I can indulge on all the memories of another wonderful Thanksgiving. That’s enough to fill anyone up. I’m ready to face the December holidays with a clean slate; ready to enjoy every last minute. I don’t need to tell you that this upcoming holiday is all about being thankful. We’re gearing up to answer that age old Thanksgiving question: what are you thankful for? And, because It’s Not About The Money! you’re probably thinking the last thing I’d be writing about is being thankful for money. But, when we are conscious and balanced in our attitude toward money, we can be neither fearful nor cavalier about its presence in our life. We can stop and think about all the things in our lives that money brings. Then, we can see that there is very much about money to be thankful for. So, since today I am feeling particularly balanced, I thought I’d take this opportunity to make my Thanksgiving list all about the money! Money lets me contribute to non-profit organizations I believe in (don’t forget year-end tax deductions). Money buys meaningful gifts to show family and friends I care (never too late to start your shopping). Money buys healthy food so I can care for my body (need to do this more). A $2.00 ticket lets me share the Festival of Lights with my grandchildren (time to untangle those holiday lights). Money gives me freedom to pursue my passion on a full-time basis (thank you, thank you, thank you). Money gives me a safe car to travel in (here comes the snow). Money gives me heat on winter days (warm nose, warm heart). Money lets me fly home to visit my elderly, failing mother (I love you, Mom). Money let my son fly home for a visit on short notice (I love you, son). 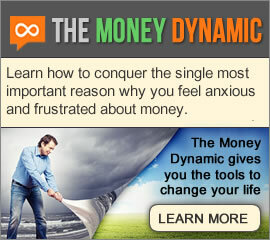 Money lets me share with all of you on a weekly basis (lucky you). So Thursday as you gather with family and friends, I encourage you to share thanks for all money brings to our lives. Let’s be real about how blessed we are for its many gifts. Listening to NPR during my morning drive, I heard about Great Britain’s plan to measure national success in a new way. In a questionnaire that is sent to all households in early 2011, the UK will add new questions about environmental and psychological well-being. The details aren’t finished yet, but the survey is to include a “happiness gauge” and will ask for an objective sense of respondents’ “life goal” achievements in an attempt to subjectively measure their citizens’ overall happiness and well-being. Rather than relying solely on financial measurements such as gross domestic product they will be focusing on the non-tangibles. Not a bad idea, after all, don’t many non-financial factors like education, healthcare and sense of purpose all contribute to our overall sense of well being? Makes perfect sense. And, the UK is not alone; Canada and France are looking at similar initiatives. A surprising shift, wouldn’t you say, especially in these economic times. Or is it? Maybe they’re just trying to shift our focus from endlessly depressing economic news. Maybe their motivation isn’t entirely on the up and up, after all who wouldn’t want to stop looking at today’s finances. Maybe they are trying to manipulate our perception a bit. But if I put on my rose-colored glasses(and you know how I like to wear these) maybe we can shift our view and find the bright side. Maybe the world is becoming aware that money isn’t everything. And, maybe, just maybe we’re starting to get, It’s Not About the Money! Am I encouraged? You’d better believe I am. Even if the motivation is a bit off and it’s just a move to distract us, it’s moving in the right direction. Because once our focus shifts from what’s wrong, we can see what’s right. And that’s where real change can happen. How many times have we started daydreaming with these words? If money were no object, what would I do with my time? If money were no object, where would I live? If money were no object, where would I go on vacation? If money were no object, how would I spend it? I was musing on this the other morning during my “Random” walk, and I thought – it’s the same as if I won the lottery… We instantly go to a place of no worries because we’d have all the money we need. Life would be good. But we’ve all heard the stories of winners whose lives turned to disasters because of those lottery winnings. And, then I realized winning the lottery and if money were no object really have nothing in common. Winning the lottery turns money into an even bigger object – the proverbial elephant in the room. And, all our dysfunctional money beliefs & values are still right there but now they are magnified to the nth degree. And at that degree it becomes all too loud and clear to see how our money beliefs can ruin our lives. But, on the other hand, what if money were no object? What does that mean on the belief level? If money were no object, we might not value one profession over another; lawyer over teacher or teacher over janitor. We might not look askance at the homeless or those living in ivory towers. Or, maybe we’d all eat organic and local because it was good for us, our neighbors and environment. What decisions would we make for education, our communities our world? Interesting to think about if it has nothing to do with quantity of dollars. What would our world really look like if money truly were no object? It’s the eve of a big election—or at least that’s what we’re told. Is it only me, or is it more and more difficult to know if the information we’re being fed is true or not? I find it so hard to know what to believe these days, that sometimes I wish it were the days of yore when the only information we had was what we saw with our own eyes or heard with our own ears. But now we have polls—more and more polls that tell us it’s already too late—the decision has been made. And, having taken Stat 101 and 102 in my college days, I know that statistical knowledge tells us that a small sampling will reflect a much, much larger group. But, logically, my brain is telling me that a sampling of 642 individuals can’t really reflect the thinking of an entire state. So, it’s all very confusing. But there is one thing I know. The political thinking and the divide between the red and blue states is all about money—especially in this economic climate. And, the messages we are receiving make us all wonder if there is anything in our world other than money? So, I want to remind you that behind the money are the beliefs and values about what is really important in our lives. And, so the most important thing we can do when we head to the polls, is to look behind the money messages and find the values that reflect what are really important to us: not just short-term values, but long-term values for our country, our state and for our families and ourselves. Because don’t you think that’s what we really should be voting for? No excuses—get out and vote! It’s 3:30 in the morning and not only did cyberspace drain all my energy yesterday, it seems to still be working its magic. Have you ever had one of those days or weeks where the internet gods seem to be working against you? I won’t bore you with the details, but suffice it to say that important e-mails are being lost: some in my Outbox and some in other’s Inboxes. Did the mighty Spam raise his ugly head? “I remember the old days” when communication meant sending a letter through the mail or picking up the telephone and getting a real person. Are any of you old enough to remember those days? No e-mail or fax: it would take at least 3 days before the other person got the letter and who knows how long before you got a response. I dream of those good old days when we had time to really read a letter, contemplate its contents and take our time to think about how to respond. Or, if you made a phone call you either spoke to a real person or no one answered. None of this voicemail or push 1 or 2 stuff. It was direct and simple. And, because we hadn’t wasted our time trying to connect, we weren’t already frustrated when we actually spoke to a human. Instead we were ready and looked forward to real connection. I often make fun of my husband for doing things the old fashioned way—actually walking into a bank, dropping papers off at businesses or talking to people in person. “What a waste of time”, I say, “when you could do it all online or by e-mail!” But after a day like today I wonder which method is the bigger waste of time—and—more importantly, who made the real connections. Please be gentle with me tomorrow, internet, I can’t take much more…. I’m going to be really honest – this is a hard blog to write. Seems like every time I have something big to announce I find a way to sabotage it. And, I guess it’s happening again . And, now here I am again, trying to invite you to an Open House & Book Celebration at my new office and feeling the same hesitation. I was going to do the party on this Sunday (after 3 weeks of traveling) but a good friend said to me, “why don’t you put it off a few weeks. 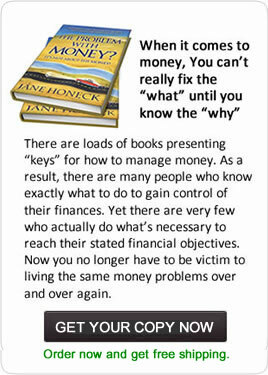 You also seem to sabotage your events by not allowing enough time to do it right!” She definitely was on to something. Maybe as an extreme introvert (1 on the Myer’s Briggs 1-10 scale) I just don’t want to be noticed. But, it’s awfully hard to get a new business going if you cave in to that tendency – sound familiar to anyone else? So, here it is 3 weeks away and I’m finally inviting you to my big event. I hope you can join me for the celebration! There I did it! Hope that magical, disappearing blog notice doesn’t rear its ugly head! Since last Thursday, I have been at the 2nd half of a Gestalt workshop in Cape Cod. During the first week last May, we worked with couples, this week we are focusing on families and groups. We are being taught in an intriguing methodology for facilitating change in stuck relationships. Mostly we are learning to become aware of the patterns of behavior in any closed system. In other words, if we are aware of the operating patterns, we can get a good idea of what works and what doesn’t. And, if we observe and state what is strong, we can also get a good idea of what is weaker and less-developed. So, if you’ve followed me so far and we try to apply this concept to money behaviors, you could see if you are strong at spending, you are probably weaker at saving. Makes sense; pretty easy to understand. And, from there it’s pretty easy to see how developing saving behavior would balance the system and help solve some money issues. But what if the strong behavior is saving, what then? Why would you even consider balancing the system by working on spending behaviors? That just seems absurd—help them spend more? But, what about a family where one person saves at the expense of other family members’ needs and wants? Or, what if someone saves at all costs because they fear never having enough? Can you see where balancing the system with flexible spending habits might help other family members as well as help the individual sleep at night? So money problems aren’t always about not having enough or spending too much. Money problems are also about relaxing around money. It’s all about awareness and balance. And, that’s why I say, The Problem With Money? It’s Not About the Money! I think that’s the key, don’t you?